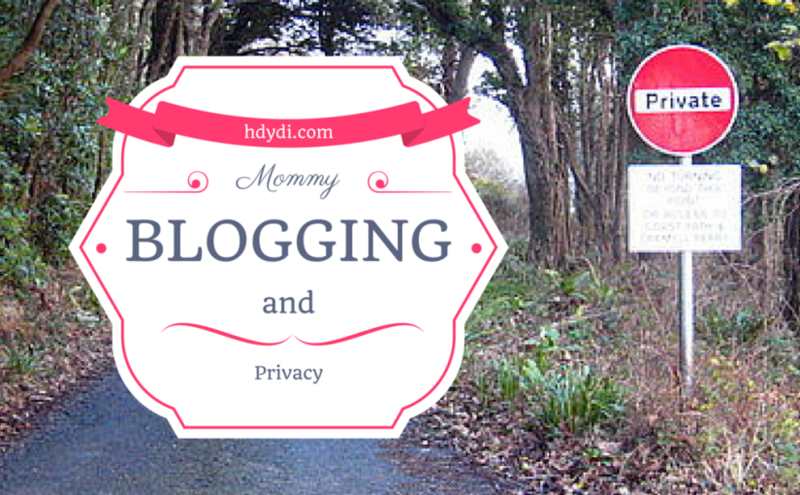 Mommy Blogger Privacy? | How Do You Do It? My daughters are thoughtful and well-informed. Our family dynamic is one of laughter, mutual respect, and open communication. I hope that our family’s approach to mommy blogger privacy can help other families set guidelines that work for them. 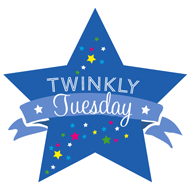 I have been blogging since before my twins were born. In the early years, it was up to me to decide what details to put out there and what to keep private. In those days, I could rely on my narrow audience of friends and family to keep things secret. Now that I have a much larger following, and now that the kids are old enough to understand what it means for information to be published on the internet, it is only right that they have a say in what I do and do not share. Allow me to lay out the privacy doctrines I have followed from the seventh week of my pregnancy. The children’s physical security is paramount. Do not share information that would allow a reader to pinpoint the children’s location at any time. Do not share information that would allow a reader to contact the children online. Children deserve respect. Do not share anything that the children consider embarrassing. Something that wasn’t embarrassing two years ago may be so today. Take it down. Children have a right to their own memories. I may remember an incident in one way. My daughter’s recollection of it may be completely different. An adult’s experience of an event is no more right than a child’s. Always acknowledge that you can speak only from your own perspective. You will not write a post about a specific event or experience unless a child proposes that you blog about it or you clear it with them beforehand, as with publicity events. If they do approve writing a post about a specific family outing, they will review the entire thing, including photos, and okay it before publication. If you wish to use a particular example from your lives in a post, check with all children before using it. Have each of them review the post in its entirety before publication. They have the veto. I can write about what I have learned about parenting or about myself without running it by kids, as long as I do not reference specific examples that include them, or these examples have previously been posted about. Either one of my daughters can ask me to take down a post I have authored, at any time, no explanation required. If they wish, they can propose ways in which I can rewrite the post to eliminate any content they find objectionable. But first, it comes down. Any rewrites can come later. Thus far, my girls have been referred to by their initials, with very rare exception. They now no longer wish to be referred to even in that much detail, so I’ll just be saying “my kids,” or “the twins”. I do not name the town or neighbourhood in which we live. The suburbs of Austin, TX are large and numerous enough for us to be able to disappear. Photographs are chosen to minimize unique attributes that might indicate the location of our home. Therefore, I either use photos taken away from our home, or within our house or back yard. License plates that may appear in a photograph are blurred. The GPS on any device used to take photographs is disabled. During the time that I’ve been employed by the state, my professional information has been a matter of public record. However, I restrict release of every piece of information that the law allows, including home address and phone number. I do not name the children’s school, ever, and I refer to teachers and other school staff only by their last initial. We don’t want someone to be able to Google “gym teacher Mrs. Wigglesbottom” [not a real name] and be able to figure out the girls’ school. While I do wish I could give credit to the extraordinary teachers in the twins’ lives, they understand the need to maintain anonymity. We love our school and summer camp, but you’re going to have to wait until the girls have outgrown them or we move away before I’ll tell you which they are. I do not announce our intentions to attend local events. I only blog about them after the fact. You will notice that the only events I have promoted on this blog are ones we couldn’t possibly attend. This means that I will not live tweet events unless the children are absent. Similarly, I do not announce travel plans until the travel is complete and we are back home. You may also see me say vague things like, “several thousand miles away” or “in the UK”. My kids’ teachers have, on occasion, maintained a classroom or program blog with student contributors. I think that blogs make for wonderful educational tools. I am incredibly proud of my children for initiating conversations in their classroom about online safety. For instance, during the creation of one school blog, they pointed out to Mrs. O that I only refer to them by their initials, and why. They had a productive discussion on the topic. I try to be very careful to protect my family’s privacy online. I employ many of the same rules you outlined. And as much as I want to post a countdown to an upcoming vacation…to post pictures in the moment…I resist that urge, too. I’m sure the vast, vast majority of the time, nothing happens, but I don’t want to take the risk of letting the world know precisely when our house will be vacant for a week. What age did you start asking permission? I’m thinking when they can read? My girls were able to read long before the really understood the concept of privacy. They were reading at 3, and at that age, any friendly stranger was a best friend to be regaled with every detail of their lives. I think my girls were around 5 and starting to go online themselves to research topics of interest when I started talking to them about their thoughts on privacy. So, I guess I would suggest starting these conversations when they’re old enough to understand what other people do and don’t, should and shouldn’t, know. Love this post because our privacy is so important! I recently did a post about why I’m not sharing photos of my baby on the blog for a similar reason. I post about events and travel after returning, not in advance also. I also only say I live in the greater Houston area, and don’t specify the town. We have to protect ourselves and our kiddos. This is a wonderful topic! My girls are only 2 and 9 months, but I have already started wondering about their feelings on my posts about their personal lives. Going to pin this for later! Thanks for sharing!